Content Marketing is defined as “any marketing that involves the creation and sharing of media and publishing content in order to acquire and retain customers” (ref: Wikipedia). The term is certainly not new (despite marketers using it like it is) and was used as early as 1996 by John F. Oppedahl. Over the last 4 years searches for the term have risen 480% (ref: Google Trends). In April 2015 alone, “content marketing” was searched for over 5 million times (ref: Google Keyword Planner). Naturally, there is no content marketing without content. Content can take many formats including blog posts, videos, podcasts, webinars, press releases, infographics, newsletters, whitepapers, downloads, guides, cheat sheets, ezines, ebooks, *takes breath* to name but a few. We all have a tendency to get wrapped up in formats. A format not an idea! Don’t let those traditional formats restrict your creativity or ideas. Content can be whatever media format you like but make sure it has a backbone of a strong idea. To be successful, content must be deployed, outreached and tracked consistently. For consistent content creation ensure you understand your target audience and their interests / needs / doubts etc. In a recent Hubspot survey over 66% of businesses see significant room for improvement, rating their content marketing as basic or inconsistent. Do not view content marketing as a quick fix campaign that can be swiftly rolled out, happen and then forgotten about or re-started a couple of months later. As long as your brand is alive and it’s story should be being told through marketed content. How you produce and deploy content should continuously evolve as technology, the market and topics also evolve. There should never be conflicting messages within or between your content marketing efforts or any other marketing. Not only will this make you look stupid but also has the potential to lose you customers / users. Having an outlined document of what your brand is and isn’t will help act as a check-list to ensure congruency between content. Be clear what you are trying to achieve from any marketed content. Is it more visits to a specific landing page? Is it more awareness around a cause that relates to your business? Whatever is it ensure your plans and strategies clearly outline the objectives or KPI’s (key performance indicators. Then once outlined, ensure they track them! Establish expert credibility by having knowledge others do not. Cite sources within your content to back up your claims and gain trust. Share data to lend credibility to your content posts. Source credible websites that you can get published on. Understanding how users and journalists make judgments on credibility will get you the best coverage and links. 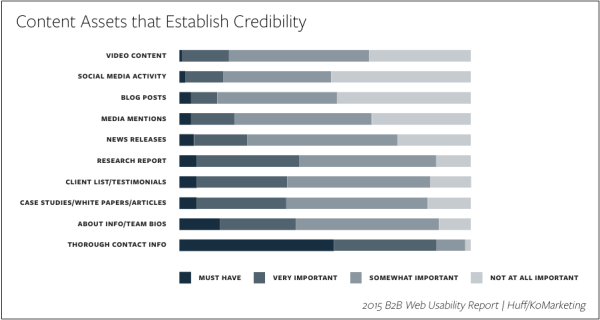 The below chart from a survey by KO Marketing shows the importance B2B buyers place on credibility, by content asset. The chances are you want your content to spread as far and wide as possible. Ensuring it is contagious is a great way to encourage that. Entertaining or problem solving content are two good examples of this. Properly using social sharing buttons is another. Utilising ‘share to enter’ actions competitions is a also good example. Entrants wouldn’t traditionally want to share a competition with others as this increases the number of entrants thereby decreasing their chances of winning. However marketers have used social media to turn this on its head by making the competition entry method entail some form of sharing. Content marketing has never really been ‘optional’ but with the raft of agencies selling it and brands doing it, you can no longer sit by the sidelines and watch. It is now a compulsory part of any overall marketing strategy. Apart from the obvious benefits there are also the fact it increases the number of keywords on your website, the regularity of bot crawls and the potential visits. It’s a misconception that since content should be in-line with consumer language/ tone, a laissez-faire writing style and attitude is acceptable. Online content should follow certain composition rules that educate and guide the appropriate stakeholders, define social sharing processes and maintain brand voice. Here is a great article by Andrew Nhem on how content without governance is not strategy. It is important to think about “corporate content cooperation” (try saying that five times fast). What I mean is think of everyone in the business as a potential contributor from the CEO to the Intern. Also, don’t just assume that marketed content has to be created or produced solely by your internal team. There are a number of benefits to cooperating or collaborating with 3rd parties to create content. For example, an accountancy firm may want to have a regular guest slot where they invite clients to write a bit about finance or processes in their industry. Or bring in an external vendor to help close any gaps in content production. For example an animator, video production studio, copywriter or graphic designer. Capacity to create content has to be one of the most prevalent barriers to entry for businesses. Invest in the foundations to increase your content capacity by introducing incentive programs for employees, hiring new staff, outsourcing to copywriters or building the functionality for user generated content. In 2015, 28% of companies are increasing investment in agency resources and over 25% are increasing internal headcount for content marketing (ref: Hubspot survey). Gone are the days when marketed content was thought of as a nice to have. Now it should be firmly viewed as an appreciable asset by your business. A good piece of content has the potential to maintain levels of referral traffic and SEO influence. It could also be re-purposed in different formats to become an offline selling tool or regain traction years later. 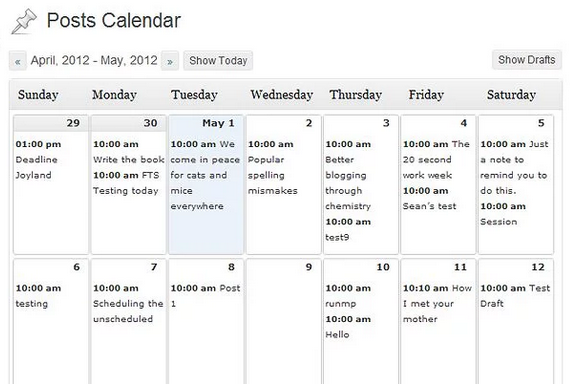 A content publishing schedule including due dates, topics, social shares and go-live dates, is critical to successful content marketing. It holds people accountable and keeps things moving forward. Here is a great E-consultancy article by David Moth containing eight free content calendar templates to help plan your output. The majority of singular pieces of content hold the potential to be re-produced into a different form. Slideshares into blog posts. Videos into GIF’s or audio books. Survey results into data visualisations. Blog post series into whitepapers. The possibilities are virtually endless. The key is to identify how many different types of content can come out of one or more finished piece, during the content production process. Not afterwards. Then you can create a re-purposing plan and schedule to greatly increase your chances of success. A visitor, user or reader has a currency they can impart to you. This may be their money, an email address, feedback, social profile details etc. Ensuring your content encourages them to exchange some of that currency is an important part of a successful content marketing strategy. Of course it isn’t always relevant or possible but will make the content campaign more valuable if you can retain some currency from its audience. This can then potentially feed into a re-marketing campaign or future lead generation. It is important to think of content marketing as a component of a larger and broader strategy, often known as ‘inbound marketing’. Yes it can stand on its own but not very well. Marketed content needs to be supported by other inbound tactics (e.g. social media marketing and search engine optimisation) and outbound marketing (e.g. banner ads and media buys, pay per click advertising and email marketing) to be truly successful. Naturally you may find a theme or topic that regularly enters your content, usually related to your industry, niche or expertise. It is important to note that publishing similar content on top of each other may lead to cannibalisation of conversions, leads and customers. Keyword cannibalisation is also a possibility. This happens when multiple pages on a website target the same content, so the search engines have a difficulty determining which page is most relevant for the search query, and thus might not promote the page you want website visitors to see most. 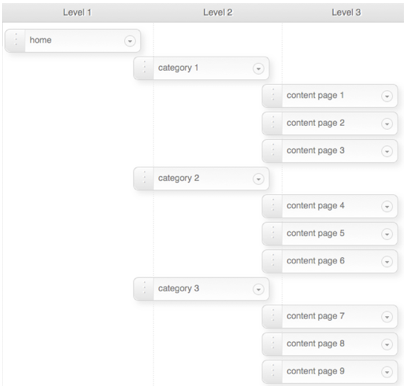 To avoid this try and create a spaced deployment schedule/plan combined with a keyword map. Here is a useful Wordtracker article by Mal Darwen on how to create a keyword map. Always assume that readers or visitors don’t know what to do next and need told. That is where Calls to Action (CTAs) come in. They are the most effective way to draw attention to advanced content, moral bribes, next stage options or unique value propositions. For example telling visitors to download, sign up, comment, watch or listen or share. Don’t be afraid to trial these CTAs. You have nothing to lose by adding them to the content or landing page and they may increase your conversion rates. If you are a larger business with multiple staff members creating marketed content, it is important to have a content coach. This person should champion the role of controller, editor, manager, director and supervisor. They should encourage competition and pride while leading the content producers in their marketing efforts. They will be responsible for the quality and consistency of any content released by the company. This is often traditionally left to the staff member with the most copy-writing experience. Encouraging all employees to become a brand correspondent or brand journalist is a great way to increase the frequency and levels of quality contribution. Try and foster a culture where staff can share their passion, observations and opinions through the brands marketing channels. Here is a useful article by Jayson DeMers on how to become a great brand journalist to augment your content marketing strategy. There is far too much content for contents sake. Don’t let your brand become one of the many collateral. Ask yourself, how is this different from what’s already out there and how does this add value? If your content can hold its own amongst the plethora of content out there whilst adding value then it may succeed. Will the content you are producing resonate with it’s intended target audience / publishers? Essentially will they care about the themes or topics outlined in your content? And selfishly, if they share the content you produce will it make them look smart, cultured, interesting or creative? If the answer is ‘No’ then it may be back to the drawing board. If your content can get a target audience to care then the chances are, the publishers will want to publish it. Sometimes the other way around also applies. Identifying the right channels through which to deploy your content is key to a successful content marketing strategy. 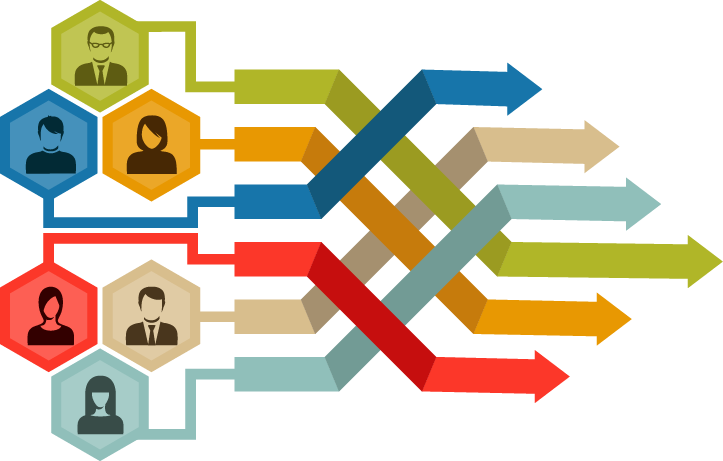 A good content marketing channel plan frees you from the constrains of any one content channel. As your blog and social media channels wane a channel plan ensures you aren’t trapped into a singular channel. This plan should identify all existing potential and future channels that may be effective. Establishes key objectives for each channel and editorial and budget considerations. 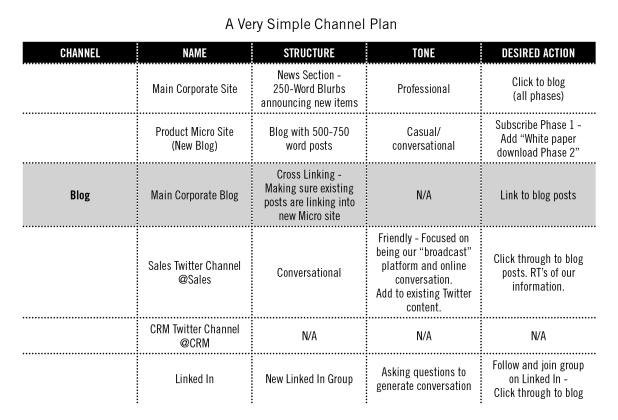 Here is a great article by Joe Pulizzi on 7 steps to creating your content marketing channel plan. Whilst you are likely to spend a signification amount of time creating a content strategy and process, that isn’t enough by itself. Forming a connection or conversation with your consumers or audience is also key. Don’t be fooled into thinking creating content is an inherently one sided process. Listen! Understand where conversations are happening and respond to them as they occur. There may be an overwhelming amount out there but use tools like Google Alerts to help you establish which conversations you want and can get involved in. Have I missed anything off the list? Do you have some C’s that you think are crucial. Please add your comments below.